PERHAPS, the next thing they might resort to is to put national cricketers in hijabs so as to conceal them from the media – or, on returning from the playing field, bundle the lot into a room and place a sentry at the door. And if need be, extend that surveillance to cover players’ off-duty hours. Hilarious as these methods might sound, they seem to be the next set of choices before Sri Lanka Cricket in its attempt to distance players from the press – that is, if its’ latest move to enforce the separation fails. Along with the 2012/13 contracts to be handed to players this week, the Board, reportedly, is to also issue letters informing them that prior Board consent must be obtained before players can speak to the media in future. It was also reported that the restriction on players’ interaction with journalists is expected to be written into future players’ contracts. Though, previously, debarring players from speaking to the media might not have been one of contract’s conditions, there was, however, a clause included disallowing players from making any comments critical of the Board. Players’ contracts were introduced by the Board in the early aftermath of our 1996 World Cup conquest. In the years before, including pre-Test times, there were restrictions on players’ interacting with journalists. Then it was decreed that only the captain and the team manager had the right to talk to the media. Broadly, the reasons then for restricting players’ dealing with the media were the same as now: to ensure the preservation of the Board’s authority over the players. And that’s understandable. After all, if players are given the freedom to badmouth the Board; administration of the game might become malignantly unmanageable, causing protracted conflicts between players and officials. It has to be reminded that the West Indies’ and Pakistan’s cricket descended at a time when their respective player-Board relationship was especially cantankerous. It has to be said that the Sri Lankan cricketers, in comparison to their counterparts overseas; haven’t quite been agitators, the sort the Australians, Pakistanis or the West Indians are. At worse, our cricketers might be moaners, in private. Otherwise, it’s fair to say the Sri Lankan cricketer is pretty much a complying sort, to the point of obedience – if he weren’t, would he have waited nearly a year for his salary? Hot-blooded cricketers similarly placed would likely have taken to the streets or sought legal recourse. The complying nature of our cricketers clearly is why player- power movements didn’t surface here. In countries where it did, the player-power caused serious dislocations to their Boards, relegating the game’s interest to insignificance. Not here, though, i.e. if you discount the dislocations caused by the nasty conflicts between rival officials. That’s a separate can of worms. Why our cricketers haven’t picked up cudgels with the Board was not because their every need and wish had been granted. It has been quite the opposite, as SLC’s yearlong delay in paying their salaries illustrates. There were indeed legitimate reasons why the cricketers might’ve publicly vented their spleen – but they didn’t; perhaps, because of their adherence to the precept of not biting the hand that feeds them. Which is why previous administrations thought a clause forbidding them from talking to journalists was considered redundant in players’ contracts. It has to be pointed that Dharmadasa was the Board President when contracts were included, and he obviously didn’t see any problems about allowing players to interact with journalists. So, why is it this time round he has gone and barred players from communicating with journalists – unless, of course, Board consent is granted, a proviso that, honestly, is censorship in disguise. What this suggests is the Board no longer trusts its players and fears that they might speak disparagingly of the Board. This begs the question: what sin have the players committed to betray the Board’s long-held trust in its players. Before we try to find the answers to that, one has to measure the extent of the Board’s politicization. Of course, since 1996, given the characteristics of Sri Lankan politics and supreme authority vested in the Sport Minister, it was always going to be difficult to stop political influence infecting cricket administration. The coming into being of interim committees, in 1999, and the appointment of Board Presidents according to the persuasions of different Sport Ministers, inevitably, left the Board door ajar to political appointees – which explains why the likes of the Tisseras, the Wettimunys, the Skandakumars, the Fernandos and the Malalasekeras, past cricketers of repute who served excellently in pre-Test elected Boards and in early interim committees, became cricket administration’s vanishing breed. Truth be told, the government’s grip on the Board has never been quite so firm as it is now. Whether it is an appointed or elected committee the government maneuvers its men into the seats of power. After all, D S de Silva was appointed interim committee chief only because he would do the government bidding– which is why ICC’s World Cup funding were diverted to building a brand new stadium in Hambantota and refurbishing the Premadasa and Pallekelle stadiums, thereby leaving the Board with insufficient funds to pay the players for nearly a year. It is pertinent to ask if the Board’s decision to muzzle the players was at the behest of the government. Left to act on its own, it is possible that the Dharmadasa administration would not have clamped down on the players’ freedom of expression. So, one can only assume that the Dharmadasa committee is not one that will reject any request the government might ask of it. It is public knowledge that the international media hasn’t been complimentary of the Board, and by implication the government, over its treatment of the players. The exposure in the world media on the inordinate delay in paying the salaries of cricketers, not surprisingly, earned the players much sympathy, worldwide – and, in turn, showed up the Board as uncaring of its own cricketers. And when the ICC diverted part of its World Cup owing directly to the players’ bank accounts rather than the SLC… well, that was as good as the ICC saying ‘lest the players’ salaries be misused again, we’re paying them direct’. As if the issue of the delayed players’ salaries wasn’t bad enough, Sangakkara comes along and makes his MCC Spirit of Cricket Cowdrey Lecture at Lord’s. Clearly, it caused embarrassment to Board and government, with Minister of Sport, Aluthgamage, promptly ordering the Board to launch an inquiry. 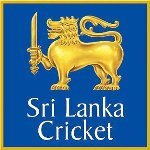 “As a national player any grievances Kumar Sangakkara had with Sri Lanka Cricket should have been brought up privately,’’ a top Ministry official harrumphed – which is as good as declaring that Sangakkara has no right to express his thoughts on cricket to anyone else but only officials. The contents of Sangakkara’s lecture have been well-documented and any re-telling here is rendered superfluous. Suffice it is to say that he spoke at length on the increasing politicization of Sri Lanka cricket and the accompanying corruption and political influence. In essence, he spoke what is common knowledge – which is why, eventually; nothing came out of the ministry-ordered inquiry. Besides, there was nothing in his contract (which had lapsed anyway at the time of the lecture) to prevent him from saying the things he did. Now that the ban has been put in place, it pretty much prevents a repeat of the sort of sentiments contained in Sangakkara’s lecture at Lord’s. But old, wizened hacks know how to get round the ban and write the stories critical of the SLC – and that, perhaps, is when the SLC might shop for hijabs or post sentries at dressing room doors. And if stories critical of the Board yet leak to journalists, sleuths might well be added to the SLC payroll.